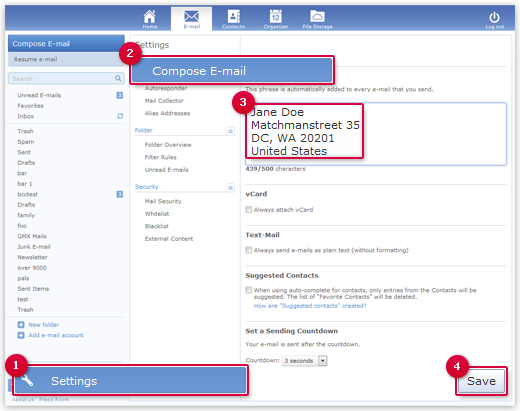 Create a signature that will be inserted automatically to each e-mail that you send. So you do not need to write your address at the end of your e-mail. You can create a signature that will automatically be inserted into every e-mail you send. Enter a text (maximum 500 characters).